This stroller has the best push for a double. Since the weight is put over the wheels, it’s a breeze to push, even with one hand. The flexibility of being able to convert from single to double and back to single again is so nice. Great full-size stroller. I love love love this stroller. It’s so compact and stylish. Got it at the sale price and I could not be happier. It’s so easy to switch the seat from front to review facing, and talking it off is a breeze. I don’t reallg like the way it fold but it’s not a big issues as it still fits perfectly in the trunk of my small car. I would recommend this stroller to anyone. So happy with this purchase. We haven’t put this to use yet because it’s just so heavy! I’m using our single stroller as long as possible because I can hardly lift the b-ready while I’m pregnant- hopefully that will get easier when the new baby arrives! I love that it folds with both seats but I do wish it would fold with the lower infant car seat attachment- it seems silly that I will need to remove that each time. I like how versatile it is and my daughter really seems to love it. It maneuvers really well even in our small hallways and doors. Wish it was a one handed fold but I know that isn’t really an option on most double strollers. We love Britax products and it is great quality just like our other stroller and seats. Love that our b-safe pops right in. I have confidence that this thing will last and will be a lifesaver with my two little ones. I’ll just need a nice tote in the car to store all of the attachments we have! I would highly recommend this product for people that want a single stroller/ double stroller. 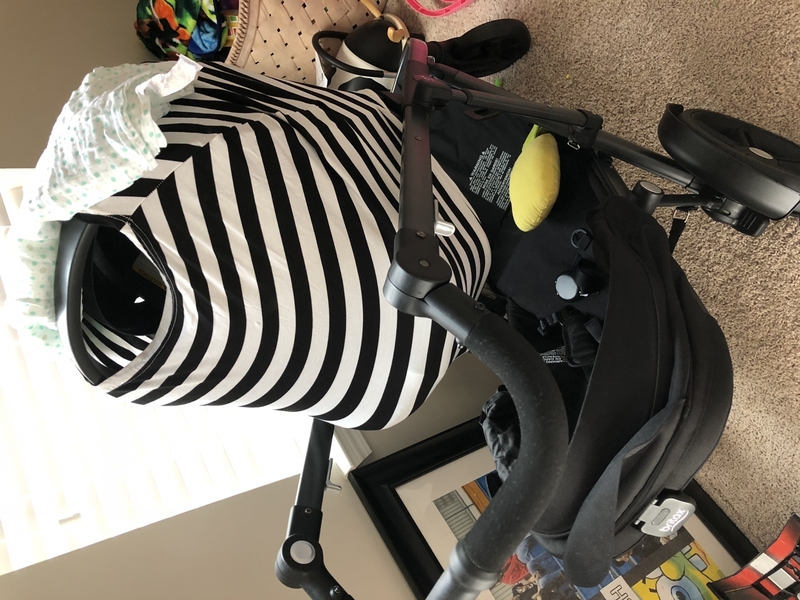 I have a 4 year old that sometimes gets tired of walking for long period of times and also have a newborn on the way We bought this stroller to make it easy for us to travel without having to carry the kids and our luggage at the same time. So far this stroller is a great buy. It wasn't a cheap price point, but neither is the quality. It goes together and comes apart very easily. It's folding and unfolding is fairly intuitive and easy and it's overall just great. Minor things that bother me are that there is no tray for snacks or cupholders. Also having bought in preparation for the second child I would have preferred the option to have the second seat over the seat it comes with. ProsConvertible�€”I wish I would�€™ve bought this with my first child. 1. Parent-facing seat option is HUGE for me. Even with the second seat attached, you can parent-face the top child which is HUGE for verbal and emotional development. The children can also face each other - awesome! 2. The stroller folds with the second seat attached. This is an amazing feature because once you are already juggling two children who has time to also remove a seat to fold the stroller? 3. Easy to push - great tires. We live in a city in the northeast where walking is our main mode of transportation so we need a stroller that can tackle snow, ice, old and bumpy sidewalks and long distances. This stroller is amazing at that and easier to push than our previous single stroller (probably because of the massive tires!). I have been so impressed with the new B-Ready. The large tires make it great on all terrain, the canopy is HUGE which is great for the bright AZ sun, the one-handed streering is smooth and easy to control, and the basket is HUGE. I did an entire grocery trip with a sleepy baby and was able to fit everything in the storage basket WITH my diaper bag. Parenting win. This stroller truly feels "luxury" without the huge luxury stroller price tag. My husband told me "this is the SUV of strollers" and I couldn't agree more. Here are some of the things I love about the stroller: - The basket! This is THE stroller to take with you when grocery shopping. There's tons of room, which makes me feel like I have freedom to buy all the groceries I want without worrying about how I'm going to lug everything back home. - I am (almost) 5'1 so it's hard finding a stroller where the handlebars are actually at a comfortable height for me to push. The handlebars on this stroller are easy to adjust so it's low enough for me...and I feel like it would still be high enough for tall people too once it's flipped up. This and the basket size might be my two favorite things about the stroller. - I love that the seat is a bit higher than usual, so my daughter's not close to the ground and more level with me. - Comfortable, roomy seat for my daughter. When we first got it, you could tell she actually wanted to try sitting in it. - Smooth ride. No worrying about your drink spilling because of bumps in the street. The only thing to keep in mind is that this stroller is big! I felt like it was almost the same size as me. Because of this, it would be hard to navigate in a small NYC restaurant. You would definitely have to leave it in the front or fold it. Luckily...it's easy to fold! Ultimately, one of the reasons I wanted the Britax B-Ready is because I'm hoping to expand my family to four soon. Since you're able to put two kids in the B-Ready, this is a smart investment in a stroller that truly grows with your family. I absolutely love this stroller! It is compact (and narrow enough to get through some tight sidewalk spaces in NYC), lightweight and comfortably fits both my (large) toddler and long one year old. The basket is ENORMOUS and I love the easy access to it through the zipped window in the front (nice iin NYC for security!). I am 5'9 so also really appreciate the adjustable handle bar - I feel very comfortable pushing the stroller at my height. But the absolute BEST feature is the fact that you can fold the stroller with both seats attached!!!!! (With a lot of doubt strollers this is not the case!). Finally must say that the second seat being in the back of the stroller makes it super easy to maneuver (a problem that I have had with other double, inline strollers with the toddler seat in the front). I could go on and on. I have owned a bunch of double strollers in my short time as a parent and couldn't recommend this one more. HUGE storage space underneath! easy navigation! super easy to put together! I drive a Honda Civic, and it basically takes up my entire trunk. Also, it is quite heavy. Besides those two points, though, it's amazing! If you live in the city and are walking a lot for errands or play, it's great! no, it's perfect! Love the versatility re different seating positions, adding a second seat, etc. The magnetic closure on the peekaboo window is also a huge win! My favorite feature of this stroller has to be the one handed pull on the back of the seat to recline the seat. There's 4 different recline position. This worked flawlessly when my baby fell asleep & I changed her into the lay flat position. She continued to sleep for the next 2 hours without a hitch. This is a deal breaker for me when it comes to strollers. A happily sleeping baby makes for a happy parent. The large cargo basket is my second favorite feature. There's room for a big diaper bag & more. There's mesh on the sides and the front of the basket, so your stuff doesn't go flying everywhere when you stroll. And the best part is the zippered cargo access from the front, so you can access all your knick knacks from the front, which I think is genius. In the upright position, the seat sits high which is great for the baby to view the world. The footrest is adjustable by pushing 2 buttons on the side. It is only necessary when you adjust it downwards. The footrest can be adjusted upwards by lifting it, which is great when you need to make the baby comfortable quickly. The canopy provides great coverage and kept it dark enough for baby to sleep in. The peekaboo window on top of the canopy has a magnetic closure, so you don't wake the baby up when you're peeking in. The window is made out of mesh, so it provides air flow on hot days. The belly bar has a zippered denim cover, which is great if baby bites it or puts their dirty hands on it. It zippers right off so it can be washed easily. The black frame makes the stroller very modern and sleek. And the vibrant colors it comes in, make it an eye-catching stroller. The 5 point harness is easy to use, but not easy for baby to take off. There's a zipper in the back of the seat that you can quickly access to change the harness to a higher or lower position. I love that it has 12 different configurations and it can be used with your current Britax infant car seat or bassinet. There's also an option to expand it into a 2 seater, or if needed, to carry 2 infant car seats with an additional adaptor. The 55lb weight limit on the regular seat is great for a bigger child. This stroller can definitely grow with your family. The adjustable handlebar is great for a family of differing heights. The rubber in the middle of the handlebar makes navigating with one hand possible. The push is smooth. The stroller is sturdy and it has never tipped over curbs or even getting onto the NYC subways. The width of the stroller isn't as wide as other strollers, so going through tighter spaces was much easier. The pedal brakes to lock and unlock the stroller is great, making it flip flop friendly. Britax made a great choice by using foam filled tires. You won't ever get stuck with a flat tire, nor would you need to carry a tire pump around. The tires pop out really easily if you need to pack it away or if you need a smaller fold in your trunk. The front tires can easily lock into place if you stroll on rougher terrain. Some cons of this stroller. The fold of the stroller with the seat is still pretty bulky. There's a learning curve to close it, but once I had figured that out, it was pretty smooth sailing afterwards. I would suggest you hold onto the handlebar with one hand, while your second hand is either holding the footrest of the seat or the belly bar. This would keep the stroller from falling forward. It is also a heavy stroller, but that's to be expected since it can expand into a 2 seater. It's comparable in weight to other double strollers on the market. Overall, the pros definitely outweigh the cons for me. This stroller is made to last and I can see my family growing with it. *** Note: The stroller was provided to me for free in exchange for a review. All opinions are my own and is my honest assessment of the stroller. This stroller is absolutely great! The maneuverability of this stroller is one of the most impressive features to me. Also, folding it and unfolding it is extremely easy and I am currently 8 months pregnant. I had the BRITAX B AGILE stroller prior and this stroller is so much better, there is no comparison between the two. The seats attach on and off very easily so you can make it a single stroller or double stroller in a matter of seconds. I would recommend this stroller to any mom, whether you have one child or more. I was blown away to learn that this stroller has 12 configurations! My favorite is having the seat facing toward me. Keeping that face-to-face time now that my baby is out of the infant car seat is huge. I don't know any other strollers that have a front facing seat for older babies and toddlers. I also love how easy the stroller is to pack up, and to maneuver, not mention the GIANT storage basket underneath. Highly recommend! I survived NYC MTA buses and subways with this stroller. As soon as I pushed this stroller around the city, heads literally turned and I was stopped by lots of people who had many questions. Normally the attention goes to my daughters, but now it's the stroller, lol. I work full time so its hard for me to make mom friends. This stroller was an ice breaker and I actually made two friends in one day of pushing this stroller around. My daughters are 5 and 2. I have an Uppa Baby Vista 2010 model with rumble seat and board, a Citi Mini single and double, and an umbrella stroller. And now the mother of all strollers, the Britax B-Ready 2017 with ride-on board. Even before my first daughter was born, I was a huge fan of Britax car seats. That was the first thing on our registry. Britax started off as a safety company, and safety is exemplified through their products. When the foam part on one of my car seats was damaged, Britax was easy to reach on the phone and they replaced the faulty part for free. I received it two days after the phone call. Britax has excellent customer service!! Britax B-Ready reminds me of the Uppa Baby Vista shape and a bit functionality wise, but the Britax stroller is more durable. The frame gets scratched easily on the Vista. Britax B-Ready is quick and easy to assemble when you get it. On the Britax B-Ready you can push out the wheels easily which makes cleaning it a breeze. This feature also makes for a nice space saver. If you are in an amusement park and worried about getting the stroller stolen, you can take off as many wheels as desired for a security feature. I tried cleaning the wheels on my Citi Mini single and the metal part rusted. And the seam of the wheel on my Uppa Baby Vista is coming apart. The Britax B-Ready wheels are more of a heavy plastic and fit tightly against the rubber. 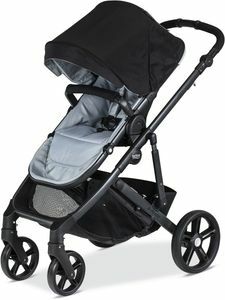 Britax offers a nice push with these wheels and the stroller is easy to lift over curbs. Also, the stroller is sturdy and you don't have to worry about it tipping over. The stroller handle bar is adjustable. I am 5' and my husband is 5'10" and we can adjust it easily and accordingly which we love. The fabric is durable and Britax offers the stroller in nice bold colors. The fabric on the Britax is stronger than my other strollers. Furthermore, the Britax's inner lining is made using a heavy plastic, unlike Citi Mini which is made with cardboard inside. How your stroller is manufactured is extremely important. For example, if your child spills something in the stroller, you do not want cardboard inside your stroller. The Britax B-Ready stroller reclines nicely and provides great back support for my growing baby. My two year old sleeps so comfortably in this stroller. I like how you can add a second seat,bassinet, or a car seat onto the Britax B-Ready stroller and make it a double. It has many different configurations which is important, especially when you have two children. A first time mom can purchase this stroller confidently that should they have another child in the future they can buy a second seat later on rather than a whole new stroller. I do not have a second seat yet, but I've seen it, and it looks excellent. It's hard to shop having a side by side double stroller. I dread going through doors. So double stacked is wayyyyy better. I love having the option of which way to turn my child(ren), including facing each other. For me it's important for at least the first year that my baby faces me in the stroller. It's bonding time and they don't talk, so you need to see cues. Also when your kids start to eat you want to face them and Britax has a really cute snack tray for the stroller. My 5 year old loved the ride on the board and how she is leveled with the handle bar which she holds on to. It was a bit tricky to assemble the board part. I liked how Britax makes this out of plastic so you can easily wash it off. A lot of boards are usually made out of wood and that over time if a child steps in something funky one day it can lead to a hard to get out odor / stain on the board. 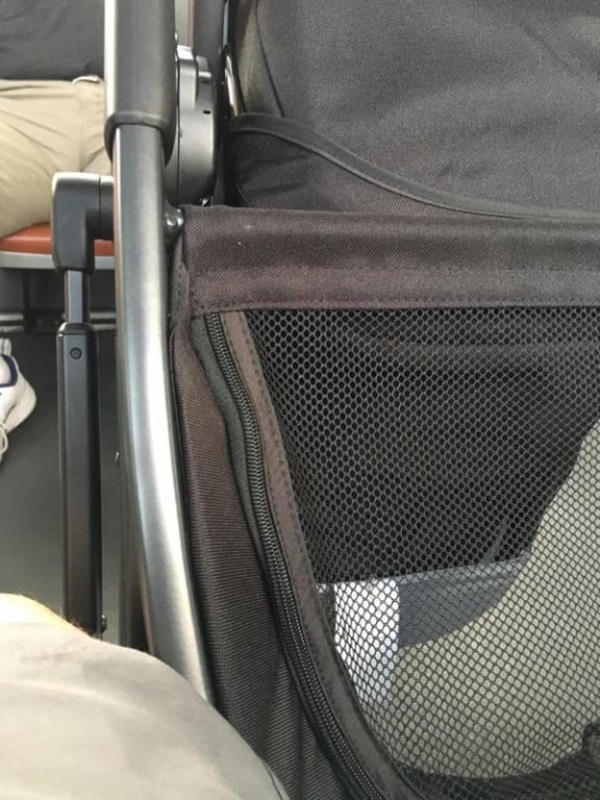 I wish the fold was a bit tighter on this stroller, but you can fold it with the seat still attached which is good and especially needed if you traveling via bus. See the picture of how you can pull it (not fully recommend by the company, but it works. I'm using the mommy mitt for less wear and tear on the handle bar when I do this). The stroller has nice pockets and the bottom basket on the stroller is soooo big and nice. And I love how the canopy is shaped and has a lip and it's opening part on top to glance at child when there are facing out is magnetic; not annoying velcro. Overall, this Britax B-Ready stroller definitely stands up to it's name and is ready for a good trip with your children. If you're deciding between the Britax B-Ready stroller and the Uppa Baby Vista, definitely go with the Britax B-Ready. It's wayyy cheaper and made more durable from a company that has excellent customer service and is known for safety. I received this stroller for free in exchange for my honest review. All other strollers mentioned, I purchased on my own previously and Britax B-Ready is now my favorite! I am very honest, so if you have any questions about the stroller you can ask me too. I survived NYC MTA buses and subways with this stroller. As soon as I pushed this stroller around the city, heads literally turned and I was stopped by lots of people who had many questions. Normally the attention goes to my daughters, but now it's the stroller, lol. I work full time so its hard for me to make mom friends. This stroller was an ice breaker and I actually made two friends in one day of pushing this stroller around. My daughters are 5 and 2. I have an Uppa Baby Vista 2010 model with rumble seat and board, a Citi Mini single and double, and an umbrella stroller. And now the mother of all strollers, the Britax B-Ready 2017 with ride-on board. Even before my first daughter was born, I was a huge fan of Britax car seats. That was the first thing on our registry. Britax started off as a safety company, and safety is exemplified through their products. When the foam part on one of my car seats was damaged, Britax was easy to reach on the phone and they replaced the faulty part for free. I received it two days after the phone call. Britax has excellent customer service!! Britax B-Ready reminds me of the Uppa Baby Vista shape and a bit functionality wise, but the Britax stroller is more durable. The frame gets scratched easily on the Vista. Britax B-Ready is quick and easy to assemble when you get it. On the Britax B-Ready you can push out the wheels easily which makes cleaning it a breeze. This feature also makes for a nice space saver. If you are in an amusement park and worried about getting the stroller stolen, you can take off as many wheels as desired for a security feature. I tried cleaning the wheels on my Citi Mini single and the metal part rusted. And the seam of the wheel on my Uppa Baby Vista is coming apart. The Britax B-Ready wheels are more of a heavy plastic and fit tightly against the rubber. Britax offers a nice push with these wheels and the stroller is easy to lift over curbs. Also, the stroller is sturdy and you dont have to worry about it tipping over. The stroller handle bar is adjustable. I am 5' and my husband is 5'10" and we can adjust it easily and accordingly which we love. The fabric is durable and Britax offers the stroller in nice bold colors. The fabric on the Britax is stronger than my other strollers. Furthermore, the Britax's inner lining is made using a heavy plastic, unlike Citi Mini which is made with cardboard inside. How your stroller is manufactured is extremely important. For example, if your child spills something in the stroller, you do not want cardboard inside your stroller. The Britax B-Ready stroller reclines nicely and provides great back support for my growing baby. My two year old sleeps so comfortably in this stroller. I like how you can add a second seat,bassinet, or a car seat onto the Britax B-Ready stroller and make it a double. It has many different configurations which is important, especially when you have two children. A first time mom can purchase this stroller confidently that should they have another child in the future they can buy a second seat later on rather than a whole new stroller. I do not have a second seat yet, but I've seen it, and it looks excellent. It's hard to shop having a side by side double stroller. I dread going through doors. So double stacked is wayyyyy better. I love having the option of which way to turn my child(ren), including facing each other. For me it's important for at least the first year that my baby faces me in the stroller. It's bonding time and they dont talk, so you need to see cues. Also when your kids start to eat you want to face them and Britax has a really cute snack tray for the stroller. My 5 year old loved the ride on the board and how she is leveled with the handle bar which she holds on to. It was a bit tricky to assemble the board part. I liked how Britax makes this out of plastic so you can easily wash it off. A lot of boards are usually made out of wood and that over time if a child steps in something funky one day it can lead to a hard to get out odor / stain on the board. I wish the fold was a bit tighter on this stroller, but you can fold it with the seat still attached which is good and especially needed if you traveling via bus. See the picture of how you can pull it (not fully recommend by the company, but it works. I'm using the mommy mitt for less wear and tear on the handle bar when I do this). The stroller has nice pockets and the bottom basket on the stroller is soooo big and nice. And I love how the canopy is shaped and has a lip and it's opening part on top to glance at child when there are facing out is magnetic; not annoying velcro. Overall, this Britax B-Ready stroller definitely stands up to it's name and is ready for a good trip with your children. If you're deciding between the Britax B-Ready stroller and the Uppa Baby Vista, definitely go with the Britax B-Ready. It's wayyy cheaper and made more durable from a company that has excellent customer service and is known for safety. I received this stroller for free in exchange for my honest review. All other strollers mentioned, I purchased on my own previously and Britax B-Ready is now my favorite! I am very honest, so if you have any questions about the stroller you can ask me too. This stroller has great features including the fully reclinable seat and the extra big storage basket. It is easy to assemble and can be outfitted to accommodate an additional seat or a stroller board for people with multiple children of different ages. It is also very easy to handle and great for sidewalks, and lightly rough terrain. AMAZING Stroller, truly ready 4 anything! This stroller is SO much easier to use and work all the great features than any stroller we've had in my 7 years and 3 kiddos later of parenting. It is lightweight compared to others its size and has plenty of storage space. The wheels are GREAT for offroad or on road and the attachment for storing all my drinks, phones, snacks is a must. The new 2017 B-Ready Stroller is by far the best stroller I've ever owned! I love how smooth the ride is and functional the stroller is. I have a 3 year old and one on the way in 2 weeks so I love that I can use it as a single stroller right now but as soon as my new baby gets her I can use the stroller as a double stroller and attach the carseat and then eventually us the second seat! This stroller is perfect for all mommies! Easy, Convenient, Functional & Fabulous! I'm crazy about this stroller. It was so easy to assemble right out of the box. Just snap the wheels in and the frame is ready to go. The main seat is light weight & clicks in with ease. I love that my little passenger can face forward or back at me. My slightly bigger passenger enjoys being in the second seat because he's got his own little space that he can get in and out of easily on his own, which is nice for going to the zoo. The basket is cool in that it's really big and can store a lot of stuff, or a gigantic diaper bag. It also cleans up nicely. This stroller really can grow with my family and I find it so functional. My one and only critique is that it's a little bit awkward for me to lift and out in the trunk of my car, but that's my own problem and not necessarily a design flaw of the stroller itself. With a 2 year old and a new baby on the way, we decided to give this a go and so far we love it! It was easy to assemble and perfect for our 2 year old. When our baby gets here, both can ride at the same time! This is definitely a luxury stroller! Everything adjusts to fit you little one(s) needs from the foot rest, to the back rest, and the varying arrangements of seating for up to two children. I love that you don't have to worry about the tires popping and feel like you could even use this as a jogging stroller if you were on a smooth surface. Note that all of the functionality makes this stroller a little larger and heavier than most, but, all in all, totally worth it. I really love this stroller. Setup was under 5 minutes and most of that time was spent getting it out of the box. Adjusting the 5-point harness was simple and I love that it can be unbuckled with one hand. Of all the double strollers I've tried, this style drives the best- great turning radius and narrow enough for aisles and doorways. Basket is roomy and front access to the basket seems like it will come in handy. Overall, a great stroller! My husband and I like this stroller very much, for its height of the seat and the fashionable model! I love this stroller! Yes, it's a bit heavy and large, but I've yet to find an affordable stroller that isn't. I love the way the I can have my baby facing me or the world; Incredibly useful for those fussy days, or when your in full swing stranger-anxiety mode.The storage underneath is generous and easy to access no matter what position the seat is in. The wheels seem to provide a gentle ride, and although it's not a three-wheeler, the swiveling front wheels make it easy to maneuver. I bought the boot and snack cup accessories to go with it, and love all of it! the stroller is a dream to push even with 2 seats and 45 lbs of kids sitting in it, i can push with one hand! i can use it as a single when i only have one of my kids with me. which makes it lighter to lift and unfold. this would be absolutely perfect for someone living on the ground floor who didn't have to collapse it every day and heave it into their trunk. Such a smooth ride..with the way it converts into many different ways and still fits in my trunk! ConsThe only thing I don't like is when seat is facing in the stroller does not fold as easy! This is by far the Benz of all double strollers at an affordable price. I took advantage of the Britax sale - buy stroller and get either an infant car seat, 2nd seat or bassinet for free. I'm a big fan of all britax products and I must say that Britax has outdone themselves this time around with their latest double stroller that was launched in 11/2010. It's easy to manuveur and makes for a pretty comfortable ride for my 8 month old. ProsLove the 14 different configurations and the fact that it grows with both infants into toddler stage. ConsNothing to dislike. It's a great product overall.